For seasoned marketing leader and current vice-president of marketing for Asia-Pacific and Japan at Akamai, Frederic Moraillon, CMO and CIO collaboration is no longer a choice. It’s also not a popularity contest. “CMOs and CIOs have to work together. It’s easier if they like each other but it doesn’t matter whether they do or not,” he told CMO. “You have to have systems behind it so the personalities don’t impact the business. Moraillon has plenty of experience around the IT and marketing divide, having built his career as a marketer across a number of technology vendors covering business intelligence, analytics software, graphics and CRM. For the last four years, he’s been the regional marketing chief for Akamai, which provides technology around content delivery network services aimed at improving Web, Internet, media, mobile and cloud security performance. During this time, he’s established and managed marketing operations across the region, and helped the organisation expand significantly in Asia-Pacific. His next ambition is to help grow the business threefold in the next five years. According to Moraillon, today’s modern marketer needs to build knowledge around technology. “If you are a CMO and not technology savvy, a bit of a geek, looking at the latest tech and different ways of breaking down your own customer and how tech can help you do better, you are behind,” he said. But that hasn’t meant CMO and CIOs look at technology in the same way. While CMOs focus on what technology does from a utility and outcomes perspective, IT teams have been TCO centric and concentrated on the features and functions of platforms one by one, Moraillon said. In addition, while marketing has been happy to source technology as a service through agency and SaaS partners, CIOs have historically looked to own and secure the technology. “What needs to happen is for the CIO to realise that of those 1000 functions, only a portion make a difference and the rest is back-end data. CMOs then have to get down from their high horse and understand these 1000 features and find the one that makes most sense,” he said. Moraillon advocated using revenue as a shared metric and objective between marketing and IT leaders. Technology always comes down to the question of “so what”, Moraillon continued. “The ultimate goal is what difference it makes. It doesn’t mean if I know about a correlation between people owning dogs and increasing the cup size in the cinema. But if that correlation becomes a segment, then it’s something interesting and I need to come up with a campaign,” he said. So if CMOs and CIOs aren’t working together, who loses the most? “Chances are, it’s the company,” Moraillon said. “I have used technology without the approval of the IT team because I have disguised it as a service. But the workaround won’t be integrated with my other systems so at the end of the day, the company loses because it’s one step behind. It’s good for meeting a need in Q1, but not long-term. For Moraillon, this kind of technology talk also ultimately leads to an operational discussion where “nobody wins”. Instead, the focus for both CMO and CIO should be on using technology to understand what the customer does and innovating their offering accordingly, he said. “The more difficult discussion as a marketer is what customer centricity means,” he commented. “As a customer, I am only interested in 3-4 interactions with your company. That customer centricity is one of the hardest concepts to define. “What I learnt from databases is that I can start understanding what customer centricity means if I look at their behaviour. That for me was the element where the technology defined what the type of marketing I could do – not what I loved to do, but what I was able to do. As a result, Moraillon has increased the data function within the marketing department over the past 18 months to get ahead of his customers. He said one of the most important capabilities today is social media listening. “That is what allows us and helps us to innovate, and gain an understanding of what people truly think,” he said. “It’s more important than the SEO I did. I want to know what they’re talking about and how I can have an impact. While the technology might have changed the way marketing is done, Moraillon said the CMO’s focus has and should always be about how to increase revenue. “I cannot stress the value of the marketer based on that,” he said. “It’s not about marketing strategy or the tools, it’s whether they can find out how to make more money. It sounds very crude, but it’s key for understanding the true value of marketing. The two strategies underpinning his approach - push and pull – should also be familiar to any marketer, although Moraillon said there’s increased convergence between the two. “In 2016, we want to remove the disconnect between brand awareness and demand generation,” he said. “With technology and the ability for people to differentiate sales messages, marketing and content, they look at us as a unified environment. People are searching for us to understand us way before they enter the actual buyer cycle. 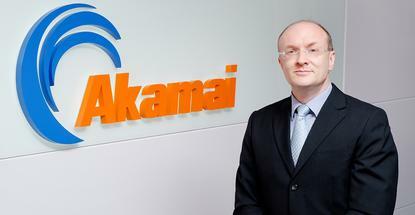 To help, Akamai is using a segment-based approach to both the marketing strategy and function. Moraillon maintains new customer acquisition, existing customer development, channel marketing, product marketing in territory and PR and search across his teams. What Moraillon agreed has changed is just how much customers can find out before they even talk to a brand. “Customers are much more aware than before, but in one way or another, they always search before they talk to us,” he added. “Today that’s exacerbated because they can find anything online and importantly, people with experiences in the product they are investigating. We have an ability to talk to peers and people with positive or negative experiences. So you’re getting pros and cons from users, as opposed to the brand.